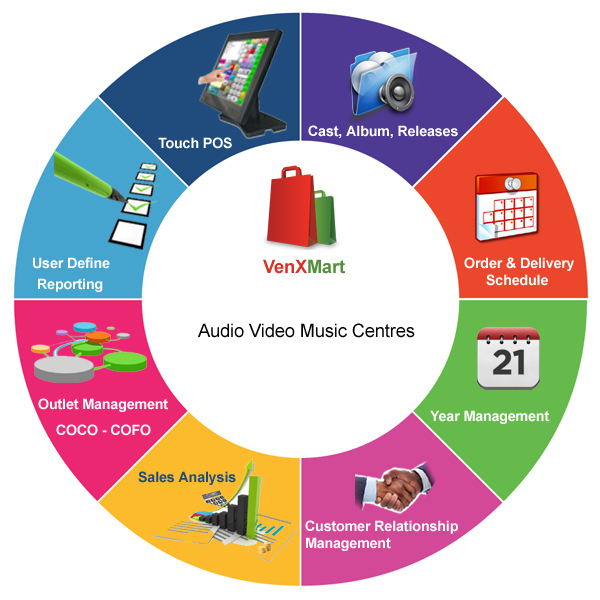 VenXMart is specialized in the Audio and video industries. We have been providing software solutions for this particular industry. We form long term relationships with our clients. Uses the best function throughout the entire program. Album details on by scanning the barcode. Pickup of albums by release year. Release Year is an important attribute for audio & video maintenance. Every album has its own release year. You can keep track on these release years. Year wise stock maintenance will help you to control the collection. Credit customers with their own account ledgers. Send offers to customer email addresses regularly.